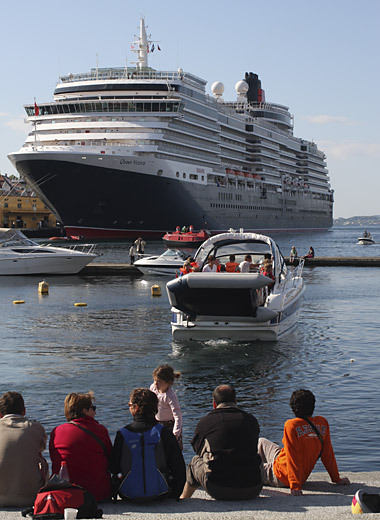 The cruise ship season in Stavanger Norway is well under way, with Queen Victoria (seen below) yesterday, two more today and 90 in total this year - and all with clear blue skies so far. stroll around the car-free shopping streets, visit the shops, bars, restaurants, and Valbergtarnet - the old fire-watch tower. The maritime museum - part of Stavanger museum - is on the harbour front close to the cruise ship moorings. See the history of Stavanger, and the ships, and also shops and apartments. Multi-lingual i-pod guides take you around.